Ila Harris, PharmD, is faculty at the University of Minnesota St. Joseph’s Hospital Family Medicine Residency and an adjunct professor in the University’s College of Pharmacy. 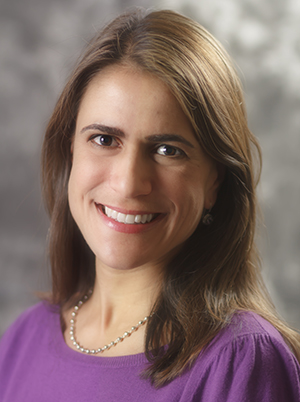 She maintains a clinical and educational position at Bethesda Clinic; provides didactic lectures at both the University's Medical School and College of Pharmacy; precepts family medicine residents and pharmacy students; and leads the pharmacotherapy curriculum at St. Joseph’s residency. Harris is also active in the American College of Clinical Pharmacy. Philbrick AM, Harris IM, Schommer JC, Fallert CJ. Medication associated with subsequent pharmacist-performed medication reconciliation in an outpatient family medicine clinic. J Am Pharm Assoc. 2015;55(1):77-80. Harris IM, Phillips B, Boyce E, Griesbach S, Hope C, Sanoski C, Sokos D, Wargo K. Clinical pharmacy should adopt a consistent process of direct patient care. Pharmacotherapy. 2014;34(8):e133-48. Harris IM, Philbrick AM, Fallert CJ, Soliman AM. Pharmacist managed protocol to implement simvastatin labeling changes in a family medicine clinic. Am J Health Syst Pharm. 2014;71(15):1248-51. Milone AS, Philbrick AM, Harris IM, Fallert, CJ. Medication reconciliation by clinical pharmacists in an outpatient family medicine clinic. J Am Pharm Assoc. 2014;54(2):181-7. Harris IM. Ambulatory Care. In: Dugan J, El-Ibiary S, Foote EF, et al., eds. Updates in Therapeutics: Pharmacotherapy Preparatory Review and Recertification Course. 2014 ed. Lenexa, KS: American College of Clinical Pharmacy, 2014:1-319 to 1-379. Harris IM. Pulmonary Disorders and Smoking Cessation. In: Bainbridge JL, Coyle EA, Forinash AB, et al., eds. Updates in Therapeutics: Ambulatory Care Pharmacy Preparatory Review and Recertification Course. 2014 ed. Lenexa, KS: American College of Clinical Pharmacy, 2014:1-443 to 1-491. Moon J, Harris IM, Lounsbery J, et al. Ambulatory care faculty preceptor cooperative. In: Westberg SM, et al. ACCP Ambulatory Care Pharmacist’s Survival Guide. 2013. 3rd ed. Lenexa, KS: American College of Clinical Pharmacy, 2013:251-54. Harris IM, Philbrick AM. Pharmacotherapy rotation for family medicine resident physicians. In: Westberg SM, et al. ACCP Ambulatory Care Pharmacist’s Survival Guide. 2013. 3rd ed. Lenexa, KS: American College of Clinical Pharmacy, 2013:306-8. Harris IM, Philbrick AM. Medication reconciliation in a family medicine clinic. In: Westberg SM, et al. ACCP Ambulatory Care Pharmacist’s Survival Guide. 2013. 3rd ed. Lenexa, KS: American College of Clinical Pharmacy, 2013:442-6. Harris IM. Clinic/Office-Based Practice. In: Zlatic T, et al. Clinical Faculty Survival Guide. 2010 ed. Lenexa, KS: American College of Clinical Pharmacy, 2010:57-68. Harris IM, Westberg SM, Frakes MJ, VanVooren JS. Outcomes of medication therapy review in a family medicine clinic. J Am Pharm Assoc. 2009;49(5):623-7.